The 2014 Austin Magic Auction. 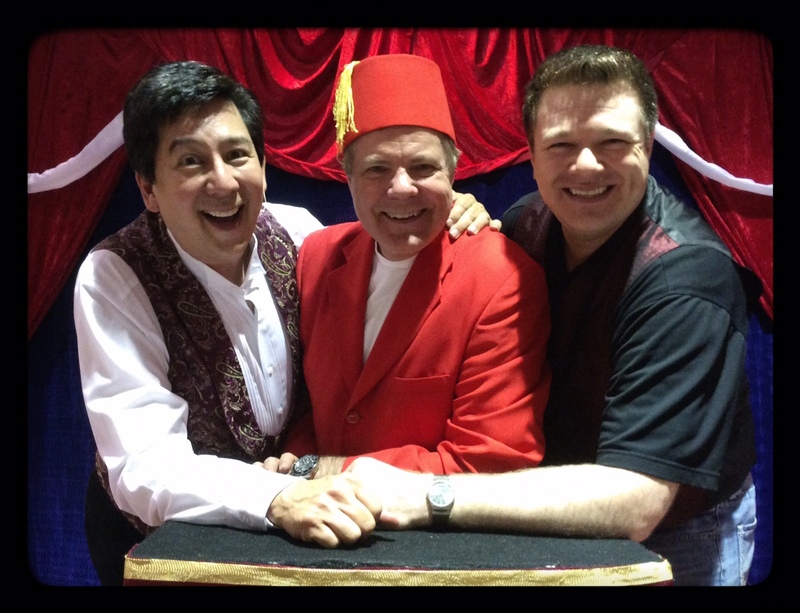 I am delighted to share an account of the 2014 Austin Magic Auction by my guest blogger Susan (aka Mrs. Nick) Lewin. I had really wanted to attend the auction and was delighted to read Susan’s run down of the event. I will be there next year– it sounds great! 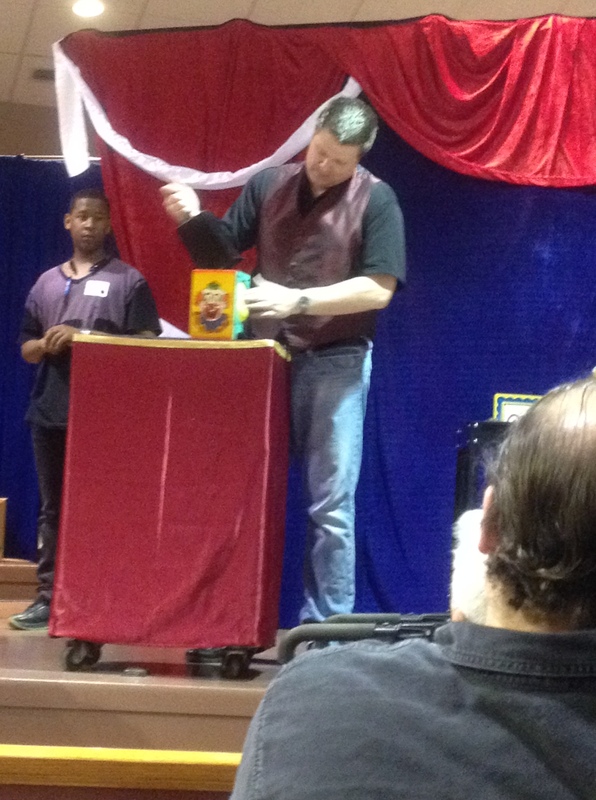 On Saturday afternoon April 5, I was fortunate to spend time at the annual World Famous Austin Magic Auction in Cedar Park, Texas (a suburb of Austin) for IBM Ring 60 that has been a standing tradition for 30 years. The auction was well attended by magi from Austin, Dallas, Houston, San Antonio and out of state. The entrance fee for everyone including the auctioneers was ten dollars and well worth the price of admission. The event was a beautifully coordinated with masses of computerized sales going on. The rotating auctioneers included the hilarious David Hira, attorney Grant Walsh and fez fatale Scott Wells. These magicians did an amazing job selling and demonstrating hundreds of magic props and collector items over a ten-hour span with grace, charm and wit. The effervescent auction chairperson, Trixie Bond, was the perfect hostess and kept everything flowing, handling all those minute details that pop up during the course of an event. The auction was divided into two rooms: the silent auction and the live auction. 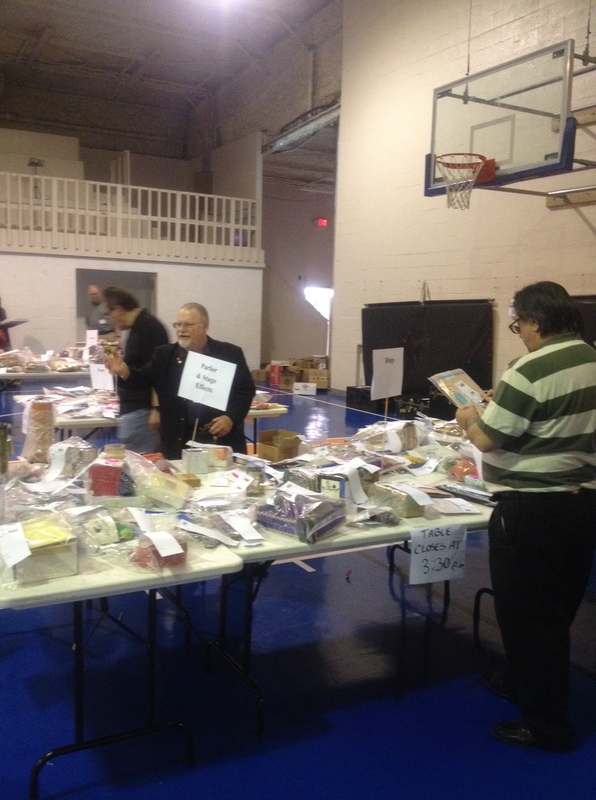 In the church hall, tables were set up by category and each item was clearly marked, bagged and computerized. My favorite table was the eclectic grab bag table and I sized it up for eliminating a lot of Nick’s “junk” for next year. Fascinating to see all the empty black trunks for sale: it looked the Lewin garage. The kids from the Fantastic Magic Camp in their brightly colored red tee shirts were hard at work distributing the auction purchases and selling concessions. All the items were computerized and well marked. The bidding was intense and most items sold until the very end when money was beginning to thin, as well as the audience. Some might say they were “magicked out” by 6 PM. I knew some of the magi including Alex Gutierrez, S.P. Lodge, Doug Gorman, Dwayne Stanton and David Hira and enjoyed meeting chairperson Trixie Bond, Paul Mimms, Michael Tallon and co-chairperson J.D. Stewart. The ladies at the back of the room had every item bagged, labeled, checked and paid for—it was a regular machine. They were extremely efficient and Heather did a terrific job coordinating offers on products for sale. I was thrilled that the six of the seven items that we submitted sold. The ring’s charge is twelve percent and worth every penny. With true Texas hospitality, complimentary healthy snacks were provided by Doc Seaton; these including nuts, tangerines, water and my personal favorite Fritos. Pizza, spaghetti and salad lunch were also available for purchase. I am looking forward to the World Famous Austin Magic Auction of 2015 and have it marked in my datebook. ~ by Nick Lewin on April 11, 2014.